Facebook has become such a household name that probably no person in present-day civilization hasn’t heard of it. Admit it, we are so used to getting on Facebook that a lot of people actually can’t spend a day without getting on the popular social media platform. But what do we do in the face of Facebook Armageddon? Scott discusses the recent Facebook shutdown and the impact that it had on investors and how to make sure you are not just focused on marketing on one social media channel. Everybody can calm down. I’m cordially joking about the Facebook Armageddon taking place. It sent the world scrambling via their social media posts and things like that. I had a live recording with Merrill Chandler. I went to go live at roughly 11:56 Eastern or 10:56 our time here. I was surprised that my Zoom wouldn’t not connect. Facebook says, “You’re incapable of connecting or cannot perform that function.” I chuckled about that. I was like, “They must be changing their algorithm.” As I go through, we decided to go live streaming straight to YouTube. It’s our backup plan like we usually do. I get online to start checking other responses and it won’t allow me to look at Facebook. It won’t let me do anything. I google it and I find out that Facebook Armageddon has kicked in. I’m like, “No problem. I can keep working on other things.” I’m sending emails. I’m jumping on LinkedIn, checking out some stuff on Twitter. I’m cracking up on all the comments. People were freaking out like, “Am I in Facebook jail? I can’t post. I can’t bash somebody. I can’t do this and this.” I found it quite humorous. It only affected me momentarily when things like that allowed me to get a lot of other work done. It was funny to see so many people freaking out. 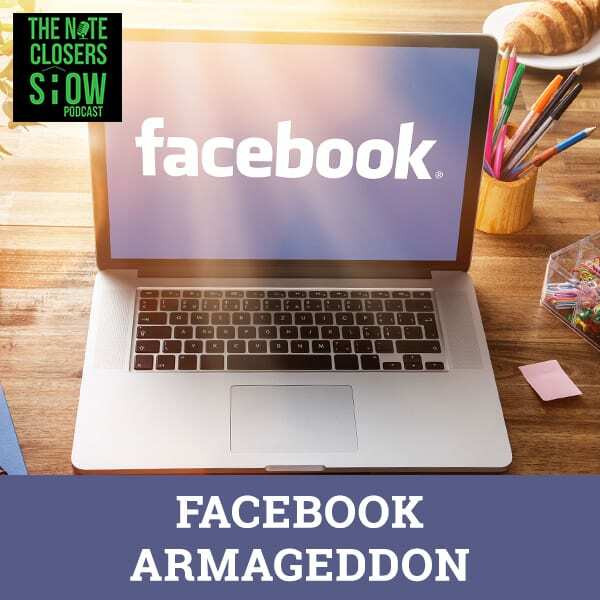 It came up with the idea for this episode about what to do in place of Facebook Armageddon. I know a lot of people use Facebook as one of their primary marketing channels. I’m like, “You’ve got to be careful there.” If you are using it as one of your primary marketing channels, you struggled. You were worried about your business. It’s almost as if your website crashes. The thing I wanted to talk about is something alternative, especially for those real estate investors out there. There are a lot of people struggled with this. With Facebook going down, you had Instagram that went down as well. A lot of people were left scrambling because the fact is that, “I can’t post. I can’t say things. I can’t reach out to people. I can’t message my friends. I can’t post videos. I can’t be snarky.” That was one of the funniest things. I was watching all this stuff. Maybe a lot of you are a lot more effective. Maybe you got a lot more done because you didn’t have the opportunity to waste time. One of the things they always talk about is how Facebook can be a big waste of time for a lot of people. I would agree with that. For a while, I had my business here. I take that back. I had my page. It got to 5,000 friends. I converted it to a business page. I used my business page for all. I didn’t have a lot of interactions that I had before. The 5,000 people that transferred over are likes, but then I went back and built a new personal page that hit another 5,000 people. Sometimes I don’t miss not having a personal page. Sometimes I don’t miss seeing the negativity or drama that a lot of people run into. Whenever you have the number three websites out there in the world as far as most views go down, it’s going to shake and make some ripples out there. It’s going to cause a lot of people to freak out. That was what it was. I saw so many people and I laugh. People don’t expect freaking out. They’re like, “Am I in Facebook jail? I can’t post. I can’t respond. I can’t do any of this stuff.” I’m like, “Go somewhere else.” That’s what was funny as seen on Twitter. Those people over at Twitter we’re cracking up and enjoying the extra highlight of activity. Twitter is the number eleven most visited website. It had a bit of a boost. We did this for a speech I gave. It was a webinar I did a while back for Podcast Peeps Mastermind I’m part of with Tom and Tracy. We talked about the top websites that people are going to and are you on those websites. These are the numbers as of January 17th, 2019. Google is number one. YouTube is number two. Facebook is number three. The fourth most visited website is Baidu, a China search engine. Wikipedia is number five in the US, and then you have three online shopping in China. You have Tencent QQ, Taobao, Tmall and then Yahoo! surprisingly comes at number nine across the world. I was surprised about that. Amazon is number ten. Those numbers have changed a little bit. Amazon used to be number nine or number eight. It reduced itself down a little bit. Fourteen spots increased Tmall. After Amazon, you have Twitter. Twitter is number eleven worldwide. This is global and not just the United States. It’s another two Chinese websites. You have Windows Live, which is Live.com in the United States. You have Instagram kicking and rounding up the top fifteen. Reddit is number eighteen worldwide and then Netflix is surprisingly at 23. Blogspot is 24 and Twitch is 26. Pornhub comes on the top 25 Canadian websites. You start running into a lot of Google Hong Kong, Yahoo! Japan and stuff like that. eBay came in at number 38 and Bing is 39. Microsoft Office is 43. IMDb is 44 and MSN is 49. Pinterest is number 75. Bitly is way down there. That’s the thing to look at. What was surprising for me since we’re in the podcasting space, there’s not a podcasting top 15, top 20 or top 50 on there right now. You don’t have anything like Libsyn. iTunes isn’t even on there. What would you do to survive if one of your main social platforms goes down? For a lot of people, they’ve got a bit of a preview to that. When you look at having Facebook and Instagram both being ineffective, what do you do? Where do you go? I’ve been one to talk about it. This falls into what we’ve got about our marketing octagon of having one piece of content and sharing it across multiple platforms. In that way, you’re hitting different audiences in different areas. I’ll give you an example. Instagram wasn’t that big of a deal for us. It’s our least effective platform when it comes to marketing for note investing and raising capital or share what’s going on. I’ve got about 5,000 followers between my page and then The Note Closers Show page. We post there once a day, automate stuff. It’s posting selfies or where we’re at or post episode thumbnails. I’ve been using it to geo market location. Let’s say there’s a conference going on in San Juan Capistrano in California and I don’t want to go to it. I can market within a mile of that location via Facebook and Instagram, which is great because it allows me to show up in people’s feeds that are visiting there. If that goes down, what would I do? You might want to go over to Yahoo! or Google. This is where I see a lot of people use AdWords. I don’t use AdWords in marketing for real estate and for raising capital or anything like that. I know that some bigger funds use AdWords. AdWords are getting way too expensive for everything I see, something with Facebook Ads. It doesn’t seem to make sense. You need to get more nichey and more organic with what you’re doing. Let me give you an example. Let’s say you’ve got a property in Cook County, Chicago, Illinois that you’re looking to move or you’re looking to get funding on or you’re looking for a variety of reasons of making things happen. What can you do with that? One of the things I would do is I would go to LinkedIn. LinkedIn is a much more professional location and professional website for people that are looking either to fund deals or to have the money or to have the time or looking to substitute their time for money. I would be posting there regularly. I would take your phone and do a short video and post it on YouTube. You can market on YouTube. You need to take a little bit more work. It’s not the easiest thing, but still effective because YouTube is the number two search engine. What’s going to happen when you’re in the number two search engine is you’re going to show up in the number one search engine, Google. We’ve had Elijah Whites who’s a great Google Street photographer. His picture is being viewed five million plus times. I’m way below that, but I’m sure there is more than that. Taking videos or pictures, uploading and posting it to Google Images so if you’re in a location, your images pop up, it’s the same thing with YouTube. Facebook Armageddon: You don’t need a lot of traffic. You need your post to go viral. You need to get in front of eyes and ears and people will hopefully see your assets. If you’re posting a video and you’re using the keyword Chicago real estate, Cook County, Illinois and what we focused on, you’re likely to have some traffic come from it. You don’t need a lot of traffic. You don’t need your post to go viral. You need to get in front of the eyes and ears that are hopefully going to see your asset or your deal. You’re using that short little video. 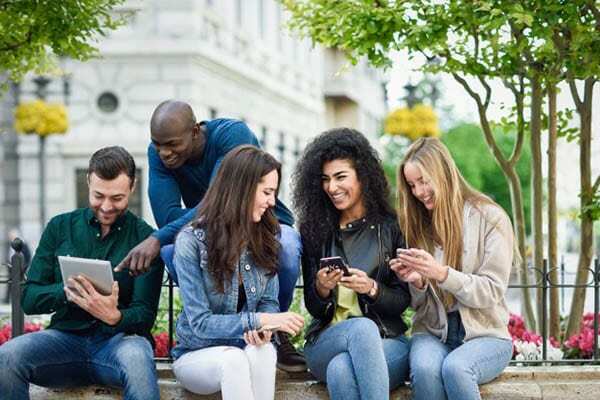 Maybe you’re using Zoom or Google Hangouts to help record that video and be able to use PowerPoint through Zoom or through Google Hangouts to share a picture of the property or share the numbers behind the asset into your video. That’s a powerful tactic to use. We’ve use that quite a bit for moving assets. Your video does not need to be long. The shorter, the better for the most part. You don’t want it to be less than ten seconds long. You want to give somebody something to look at. When you have an attention span less than a goldfish, for most Americans it’s at eight seconds, you want to make sure you get the point. You want to have a good picture of the property and then transition to the content fast like, “Scott Carson, I’ve got a great deal. I’m working on this North Chicago area. The southern assets may be a little tougher to move or past near Wrigleyville or near wherever and here’s a picture of the property and here’s what the focus of it is.” Take that short video, upload it to YouTube so it goes to Google. Share it to LinkedIn and then also go to LinkedIn groups. There are a lot of large groups on LinkedIn for real estate and distressed investing or real estate investing that you could share. They have 500,000, 100,000, 90,000, 200,000 and some of the large groups that we are a part of. We probably don’t market to enough. We do market to it at least a weekly basis. When you have something like that go down and you’re in the real estate community like Facebook, Facebook is the staple of our marketing, you’ve got to go to alternative areas to do that. That’s one of the great things with other social media platforms taking notice on what’s going on in the market and adjusting what they’re doing. Twitter is increasing the amount of video you can post on there. LinkedIn is about to start doing live video, but being able to post fifteen-minute videos to upload straight to LinkedIn. That gives you all the stuff you need to be able to market there effectively. If you’re in retail or other people that are doing different things out there, you can’t run your surveys. You can’t do some of the other things creatively that you would do within Facebook, especially with your click backs or other things that show up in their search engine or show up on the websites and things like that. It’s important for everybody to realize that you have to be prepared in case it happens. You have to be prepared in case there’s fallout or a website goes down or a website gets shut down for some weird reason. I had Mark Garcia who is with GSD, Get Stuff Done. He’s a social media influencer who works a lot with Jim. He also has a social media marketing company that works for other people. He shared something at an event that I was at. He’s talking about how he sets a lot of his clients on both ClickFunnels and Leadpages in case one of them goes down. I thought that was brilliant because every website and every company, at some point, will have a hiccup. Chaos will ensue. If you don’t have a backup plan or if you don’t have backup posting, what are you going to do? If you’ll have your website on a Wix website, what happens when Wix goes down? You’re screwed. That’s funny with marketers out there. They’re like, “I can’t post my podcast. I can’t post my videos.” I’m like, “Move on to something else. Go to plan B.” How people act on Facebook is different than how they act on other channels. I’ve seen many markers that say, “Treat each social media page as a different angle or different personality.” It’s a great thing to do. You have to be a lot more professional on LinkedIn. You won’t be posting your bikini pics or your shirtless six-pack abs photos. You’ve got to be professional. That’s what you have to keep in mind. Social is great. Being social on Instagram is great for posting photos and some other things, but when it goes down, it’s time to get back to work. It’s time to figure things out. That’s the thing that I want to talk about. If you were struck by not being able to be live or share your posts like Ryan Harper with Propelio, he went to go live around 11:00 and he was getting issues too, so he went straight to YouTube. There are days that you get better engagement from YouTube if you’re posting live and doing videos versus Facebook because of the fact it is such a larger search engine. It’s going to stand and be searched by a lot more people. You have to look. Do you want to be in a smaller pond or a bigger pond? If that pond dries up, are you going to be flapping on the money ground or are you still going to be in water? That’s the thing to look at as marketers. Whether you believe it or not, we’re all marketers. We are all people who are in the media side of things. I don’t care where you’re at. If you’ve ever posted a Facebook video, posted on Instagram, posted on LinkedIn, had a Twitter update or anything like that, you’re all in the media page of some sort. It is what it is. The thing you have to keep in mind is what you are doing to expand it here in the next several months. If you’re a real estate investor and you’re not using social media, you’re using your funds or your credit, which there’s nothing wrong with that, that’s fine. What happens when that switches? What happens when you run out of your capital or the credit market has changed and banks won’t give you loans anymore? Are you developing those assets? Are you developing those online personalities on those other social media page to help you leverage your audience? I always get a lot of people that are like, “I have a LinkedIn profile for my full-time job. What do I do if I’m trying to be an investor? Do I start a second profile? What if my boss finds out?” The answer to that question is it depends. If you need to sign an OBA, Outside Business Arrangement or Agreement, a lot of times jobs that you’re working full-time or salary positions are like that. If you’re going to be moonlighting or have a side hustle, you’ve got to disclose that with your boss or your higher-ups. With real estate investing, it’s a little bit different. It depends on your marketing. If you’re still working full-time and you enjoy your full-time position, that’s great. There’s nothing wrong with that. If you’re reading this now and you’re doing that, kudos to you. Congratulations, you’ve got something you enjoy doing. It’s paying the bills. I would put it as a side hobby. I would go onto your personal LinkedIn page and put a paragraph like, “I’m an active real estate investor. I’m also the CEO or managing member of whatever LLC,” or S Corp that you’ve got. Facebook Armageddon: We’re all one contact away from anybody out there now through the use of social media. If anyone ever asks, I buy real estate and I have an entity that I fund. I put it there so that when I buy assets, or I have people that are doing due diligence on my real estate, they see that. I’m not taking away any time from my 40 hours or 50 hours of my career at whatever company you’re working at. What you won’t be doing though is marketing regularly. That’s what you have to look at. What’s your side hustle going to be? If you’re looking to transition, you’d have to figure out what’s going to happen if your boss does find out. Do they require an OBA? I was a banker in some financial institution. Most of those companies aren’t going to let you do anything. You’ve got to be on the side so you may have to start a second profile. I honestly think it’s better to ask forgiveness than permission. Start it on your profile, especially in your jobs and your careers. The higher-ups are often too busy to spend time searching your LinkedIn profiles. They’re not spending the time doing that as long as you’re not blasting out things to your email list that you pulled off of LinkedIn. If you haven’t done that, don’t worry about it. You can’t do that anymore. They no longer allow you to export LinkedIn connections, emails as of Thanksgiving 2018. You’re posting updates. You got to see how active things are. Are you posting a picture like, “I bought this property?” That’s great. You’re like, “I bought this deal. I’m excited to see this new rental property. There’s a new note I’ve added to my portfolio.” There’s nothing wrong with it because you’re soliciting for business. If you start posting like, “I’m looking for nonperforming notes,” and it comes across your boss’s profile, they may wonder what’s going on. That’s where you may have to go back and have a conversation like, “On a side gig, I do this and do that.” They may have a little slap on their hand and stuff like that to you. I get it. Nobody wants a slap on the wrist, but you’ve got to make that point at some point. What do you want to accomplish? Are you still on the 40-40-40 program? What I mean is 40 hours a week for 40 years to retire on 40%. If that’s what you want to do, by all means, you’re going to have to limit what your type of marketing is. If that’s not the plan that you want and you ultimately want to be on your own, you want to call your shop, you want to be an entrepreneur, a business owner, a solopreneur on your side and retire, then you’ve got to start developing those online assets. Twitter still is inactive. It’s an easy way to connect with a lot of people remotely, whether it’s Marlins Man, the guy that travels around the country. I’ve had conversations with him, to Gary Vaynerchuk and Seth Godin. They are people I am still able to connect a lot of times. It’s no longer Six Degrees of Kevin Bacon. It’s one degree from Kevin Bacon. 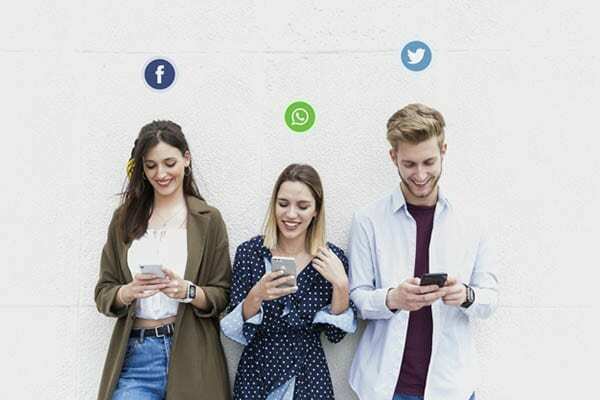 We’re all one contact away from anybody out there now these days through the use of social media, through the use of LinkedIn, Facebook, and those things. I would highly recommend leveraging your YouTube video for deals that you’re posting and use that with LinkedIn groups, preferably the groups that your boss or higher-ups are not members of. I believe everybody likes real estate. That’s why I do my side hustle and that’s what I do as a hobby. If your boss or your company is not providing a 401(k) retirement plan for anything, I’d go ahead and do it. If they’re not providing that, you’ve got to fend for yourself. A lot of us out there have to quit promoting other people’s dreams and start promoting yourself. Start building your retirement plan. Start building your things. If you keep working for somebody else and there’s no type of retirement or anything long-term, I’m not talking about fresh out of college, you’re in your 40s or 50s and you don’t have anything saved and don’t have anything started. If you don’t have anything sizable and you’re looking at that aspect of things, you’re getting closer and closer to your retirement age. You need to start socking stuff away. You’ve got to start building those assets to do that and maybe that is doing your own thing. Maybe it is leaving your job to be a full-time real estate investor or starting as a part-time. That’s up to you. I can’t answer that. Everybody has got to answer those own questions. You’ve got to have that conversation with you, your spouse, your family and figure out where you want to go and what do you want to do. That’s a question and a conversation that a lot of people like to push off until tomorrow. You have to look at things. If you’re doing the same thing in the last year or two and you feel you’re in a rut, you have to look at doing something different. Maybe it’s not real estate, note investing or fix and flips. Maybe it’s something else. You’re going to be consulted for what you’re doing to other companies because you’ve got experience. Maybe you’re going to change your career and be a ballet dancer, a professional painter, a travel junkie. Maybe you start working on cruise ships. Whatever you want to do, that’s completely up to you. It’s fine. I tell this to a lot of college kids or kids I talked to that are going to school and they’re looking to get out. Start developing those online assets. Start developing those social media channels, but keep it clean because whether you like it or not, people will go back and look at those things. People will go back and see what you’re doing on Instagram, LinkedIn and Facebook. Unless you have a very private account, you have to be careful. You don’t want to be posting those bong hits from college from the frat party. You don’t want to be posting thong photos unless you’re a professional thong photographer or thong model. You don’t want to be posting those things. You have to start promoting you. That’s why I say we were all in the media these days because you all need to promote yourself. You’ve got to start taking action for what you want to accomplish now. Some people out there spend a lot of time on their social media. There’s a special app you can google and find. I’ve started seeing this on my Facebook. My phone is telling me how long I spent on social media. It’s four hours a week or five hours a week. That’s not bad. That’s less than an hour a day roughly. What you start seeing is you start seeing that daily. A lot of people spend a lot of time on their phones daily, especially on social media channels. If you’re marketing yourself that you’re an entrepreneur and that’s what you’re using, that’s great, but it comes back to our main focus. Are you spreading your time across aspect? Are you different models? One thing we don’t do a lot with is Pinterest. I have not posted there. I was in Tampa at New Media Summit with my friends from there. I was cracking up at some of the people that were logging to Pinterest and looking like, “I got a million views.” I’ve got a million plus views on my Pinterest account. I post there hardly, it’s a repost. I’m like, “We’ve got to spend some time on there.” Here’s the thing that I like to do. Take a second and look at yourself. Look at your marketing plan and look at what you’re doing for your side hustle or your full-time hustle. Look at the counter. The thing I like to do is called the 30/30 matrix. I’ll put down 30 different items that we do for marketing. Yes, it’s posting on Facebook and posting to Instagram. There’s a lot of different things that we do for that stuff. I’d bring that up for you. There are some different ideas for you to keep in mind. I did this for Podfest. It may do the 30 spreadsheets for what we do in real estate because that’s more valuable for you than a podcasting aspect because it’s an easy thing to change around. Here’s one thing that a lot of people don’t do much anymore. Email your database. You’re like, “I have to go back to the caveman days of marketing and send an email.” You mean I can’t send a direct message, or I can’t use a chatbot to connect with people? You can’t post to Facebook, why don’t you send an email out to your database? That’s one way to market. Follow-up email to an email that you sent out to those that clicked on something. That’s the second thing you could always do. The third thing is doing a LinkedIn blog. Posting a LinkedIn article, those things are valuable too as well. Facebook Armageddon: If you’re around bigger cities, there’s always something going on. Go meet local investors and potential investors and hang out there. Listen to them and collect and pass out some cards. Do a short deal video on YouTube or Vimeo. I experienced my bit of social media Armageddon a few years ago when YouTube shut my account down. I was like, “What do I do? I lost a lot of videos.” Luckily, I had a bunch saved, so I was able to go to Vimeo and repost them there and upload them there and build that network out. I had to rebuild my YouTube account, but that’s the thing. You never know what’s going to happen with that stuff out there. Go to an REI club meeting. That’s a great thing to look at doing to expand your audience. In case you can’t get a Facebook, go on MeetUp.com. See if there’s a local REIA club meeting in your area or nearby that you can go to. Go to BiggerPockets and start surfing on there on the market place for the comments page. It’s a valuable aspect to be marketing on BiggerPockets. Besides joining their specific groups on the marketplace and different areas there, like Jason Bible says, “Case studies are killer content.” If you have a case study about a deal that you could post to the REI club meeting or your deal videos and stuff like that, if your Facebook falls, post it on Instagram. Post a photo there if you can. Another thing I have is our LinkedIn groups. Go on to your different groups and start searching for those keywords. It’s a great place to look at. I also have our self-directed IRA investors. One of the things we do a lot of is we reach out to local self-directed IRA investors by pulling mailing lists off the county appraisal district website. It’s a great place to go to. Get even more old school and maybe send out a postcard or a letter to those people. There’s another website, ActiveRain.com. It’s a great place to go to find people in other areas. ActiveRain was originally put on by Trulia and it was bought by one of the largest Keller Williams agents in the country a few years back. It’s still a great place to talk to realtors and other real estate professionals across the country. You can post blogs on there. I had somebody reach out to me about an article I posted over a year ago. He was asking some questions about some case studies. Animoto is another place to do a video where you can take pictures of the deal or the before and after photos of the property and throw it on Animoto. Animoto will help you make it look nice and transition it. You can put it in the order you want. Then it will automatically post to your LinkedIn, YouTube, Facebook and other places. You can download the link and send it out as well. It’s relatively cheap. Being in the real estate place, we often will sit with an asset manager email to our contacts with the different banks that we’ve built over the years. We’ll go into and send direct messages on LinkedIn and type in special asset managers and finding people across the country and sending connections trying to connect with those people. Postcards and then thank you notes. I’ve got that both on here. We send a postcard out to some investors, or we send some postcards out to people in the market you’re buying. We’ve used this to move some assets before. We had some rougher assets. We sent postcards out to the neighborhood and we’ve got a few people that took us up on buying the asset. Here’s another thing. I attend a live event. Find out if there’s a local event going on. Not a Meetup meeting, but maybe events like a real estate investment club or a conference or something. There are always plenty of things going on if you’re around bigger cities. You’ve often seen those rolling caravans that show up for two hours at a hotel. I’m talking about one of those big marketing companies that are marketing Rich Dad or Flip or Flop or one of those. They’ll often market, but they’re coming to cities. FortuneBuilders has been known for doing that. They’re going to be in a city around you specifically for a couple of hours at three or four different hotels. It’s usually south, middle and north. If you want to meet some other local investors or potential investors, go hang out there for an hour or two. Listen to them and collect cards and pass out some cards. If Facebook is down, you can’t post to Facebook groups but this is going back to your LinkedIn groups and posting there. If you do have the availability, go to Facebook and post there if it is available. Pick up the phone and start dialing for dollars. Calling an asset manager is an easy thing to do. I’m not talking about calling 200 asset managers a day, but if you knocked out 50 phone calls a day for three days a week, that’s a valuable tool to do. You’ll make some great connections and find some deals that nobody else is finding. Do an investor webinar. Do them through a live stream or Zoom or go to Webinar. Do a webinar once a month or once a week. 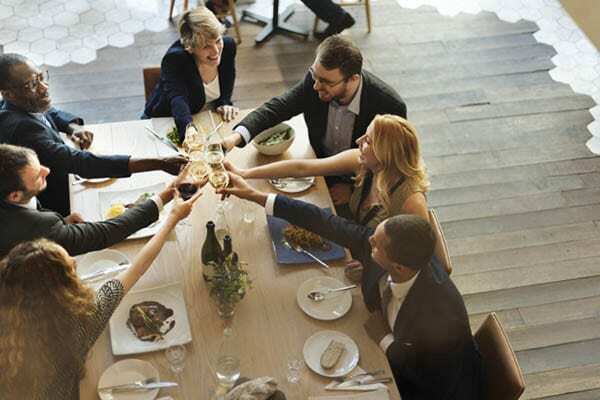 A lunch and learn may be a great thing to do to talk about what you’re focused on. On one of our Note Night in America webinar podcast, we talked about putting together your perfect pitch book. I laid out what goes into it. Your pitch is roughly about twenty minutes. If you’re doing a 30-minute webinar, you have at least plenty of time for people to answer questions. Have on your Twitter post times three. People argue about this. Whether you want to have the same post several times across Twitter or one post posting once a day, you can get away with both. If you’re going to schedule something that’s good content, you may want to set it up to post in the morning, in the afternoon, early evening or at 9:00 at night. If people aren’t on their phone 24 hours a day, seven days a week looking at your Twitter feeds to see it, how are they going to see it? They may get buried depending on how many followers they have or people that they’re following. Post the same thing three times. You can use Buffer or Hootsuite to set that up to automatically repost across the board. That takes us to say enough Buffer. It’s a great thing to do to set up your time to co-post it across different platforms. Buffer is free. It allows for you to post to your Instagram, Pinterest, Facebook, LinkedIn and your accounts for free. I may be missing something in there. I don’t think they post on Myspace. You could go live on Twitter with video through Periscope. That’s talking about your deal in case your YouTube or Instagram shut down. Occasionally, we’ll pay a little bit of money to do a press release on something big whether we’re announcing something big or closing on a deal. The press release is not a bad way to get the word out and get in other publications. Usually, when we do a press release, it’s going to get picked up by somewhere between 140 and 200 plus newspapers, online news agencies and things like that. It adds a little bit of publicity and you’ll see a boost to your website as well. The worst case, pick up the phone, reach out to your vendors like, “What are you working on? Do you know anything? I’m looking for some help with this.” One of the things I put on here before is LinkedIn contacts. God forbid you to send a direct message to some of your LinkedIn contacts. Look to see who’s doing what. Type in the keywords of what you’re looking for and you’ll find some people. If you’re connected with them already, drop a message like, “I’ve got a deal I’m working on. I don’t know if you know somebody that might be interested.” Those are the 30 different things. That’s what we do. You figure out 30 things across the top, especially going down. You have the days of the week. 1 to 31 or 1 to 28 and rotate whatever date it falls on. Rotate it through. That’s a great way to keep track of it. If you do have an Armageddon that hits in, you’ve got a backup plan versus sitting here and going, “What am I going to do? Look at that. Facebook is busted.” We have a question, “Are foreclosure attorneys a good source for finding out who has notes for sale?” That’s a nugget right there. I don’t talk about that often. If you’re pulling a foreclosure list on a couple of counties, it should show you who the attorney is foreclosing. In a lot of parts of the country, we’ve seen a dramatic reduction in foreclosures and foreclosure listings. I still believe that if you can’t get ahold of the bank to send you a list of notes, going into the foreclosure attorney is not a bad thing to do. That’s worth dialing for dollars on. 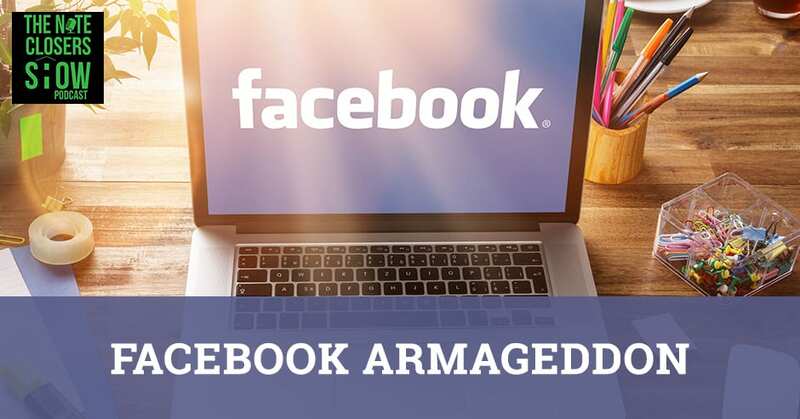 Facebook Armageddon: Set up your pivot quite easily to move your business to different platforms so you’re able to add an avenue to raise capital and to find deals when your primary one or two things dry up. I would avoid the bigger foreclosure mills because they’re processing paperwork. If you start seeing a smaller bank or a smaller lender hiring an attorney and on the foreclosure auctions, I would pick up the phone and call that attorney and see if they represent any other smaller institutions, banks, lenders that they’re foreclosing and see if you can’t potentially buy their distressed note. They don’t want to lose out on the legal work. The thing to keep in mind is to say, “I don’t know if any of your clients are selling the debt off. I’m looking to buy that note. If I buy the debt, I want to retain you as the attorney that’s foreclosing.” That might be an option too. Maybe it should be a part of your 30/30 matrix for your note and real estate investing. Facebook Armageddon could be LinkedIn Armageddon. It could be Twitter. It could be your website Armageddon. It could be a variety of things. What you always have to have is a plan B and a plan C to be able to market and be able to get the word out. It’s one of the most important things that you can do as a marketer, as a business owner, as somebody in the media. Whether you believe it or not, we’re all media and marketing. If you start looking back at where your business is coming from and it’s coming from one source, that’s dangerous. That’s not good. I compared a lot of note investors in the note industry. I’ve had like, “I’m going to buy from one source.” Maybe it’s Condor. Maybe it was Granite. Maybe it was direct source. Maybe it was SN Servicing. That’s where I’m going to buy from. I don’t need to market any other sources. I’m good. They provide me enough that I need. What happens when the market has changed? I say it has changed because it has changed. Those sources have become tighter. They become more expensive because that’s the lowest hanging fruit. That’s where everybody is going. You’ve got to learn to develop other ways to find deals to market and to get the word out in what you’re doing so you don’t experience your own Facebook Armageddon. Hopefully, this has been helpful to you. It was quite comical seeing people that were spending more time on that talk about being an investor. I chuckled with scenes in the comments that’s rolling through at the end of the day during a short break. People are flipping out. Maybe flipping out is a bit of a strong point. People are like, “I can’t leave my snarky comments. I can’t bash somebody online. It won’t let me. Am I in Facebook jail?” We all got put in Facebook jail. If you read the article that they provided, it’s a little shady up there to see that stuff happen. I’m not a conspiracy expert. I don’t dive in a lot of it. There are a lot of things that happened. Keep that in mind. Where are you sharing? Where are you posting? Where are you getting your news from? Unfortunately, a lot of people are getting their news from Facebook being true and you have to be careful out there. There’s a lot of shams. There’s a lot of people posting inaccurate items out there so make sure you’re careful. Make sure you’re not one of these people that are adding to the Facebook Armageddon. Be smart. When you see something like that, you’ve got things set up the pivot easily to move your business in a different direction. You got to move it to different platforms so you can add an avenue, a way to make money, a way to market, a way to raise capital, a way to find deals when your primary one or two things dry up. It’s great being a big fish in a small pool, but if that pool dries up, you’re a dead fish. Nobody wants to be a dead fish when it comes to it. Nobody likes the smell of rotting tuna. That’s not a fun place, and you don’t want to be there. Hopefully, this has been helpful. If you would like a copy of my 30/30 matrix, it’s easy to do. I’m glad to send it over to you. Drop me a quick email at Scott@WeCloseNotes.com and say, “30/30 matrix.” This is my free giveaway to help me identify other options on where first to focus on. Hopefully, you go out and make something happen. Hopefully, you’re back to normal. Crawl out of your bunker, open your eyes, see the sun, drink a glass of water, and realize Facebook Armageddon is over. Until then, have a great day. We’ll see you at the top.